SuperCopier - мощная программа для копирования и перемещения файлов, обладающая гораздо большим набором функций, чем стандартный Проводник операционной системы Windows. Приложение SuperCopier предназначено для копирования или перемещения больших объемов данных, как например видеофайлов, в пределах нескольких дисков или локальной сети. 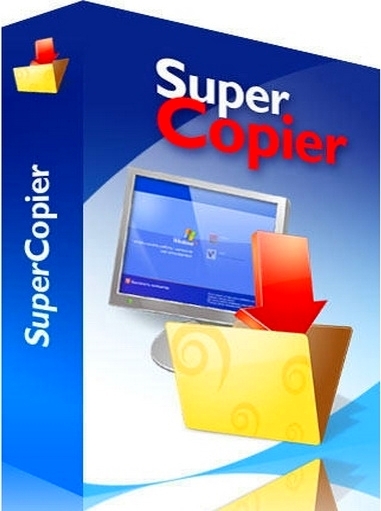 SuperCopier is a system tool that aims to significantly reduce time when you are copying or moving files. It definitely comes in handy when you are dealing with large files, and when Windows copy and cut functions are simply not enough anymore. After the quick installation is complete, you can access SuperCopier in the system tray. Unfortunately, the application does not integrate in the context menu, so you have to select "new thread" every time you want to use SuperCopier. As far as actions are concerned, you can opt for Copy or Move operations. In order to initiate any of those, you need to drag and drop the files to be processed and select the destination folder. SuperCopier’s interface is always on top of other programs, except when it’s minimized to tray. It notifies you when a task is complete, but it doesn’t state the amount of time it took (just the speed). The current jobs can be monitored from the Thread List section. In addition, you can configure SuperCopier in matter of appearance (foreground, background, text and border colors), speed limit for copying and moving, time to wait between two retries, and others. Our test was done on a 4.94 GB folder, and run on Windows 7. In the case of SuperCopier vs Windows, Windows won! SuperCopier took 4 minutes and 11 seconds to copy the file, while Windows took only 3 minutes and 14 seconds. Hopefully, the application makes a better impression on previous Windows systems. All in all, SuperCopier brings a different file copying / moving experience. But it does not surpass Windows’ 7 speed.